Knafo Klimor Architects recently unveiled their design for the 2015 Milan Expo, an agriculture-inspired pavilion called "The Fields of Tomorrow." Built in collaboration with local firm PRR Architetti, the 995 square meter pavilion showcases the fascinating history behind Israel’s innovative agricultural sector with a living crop wall. 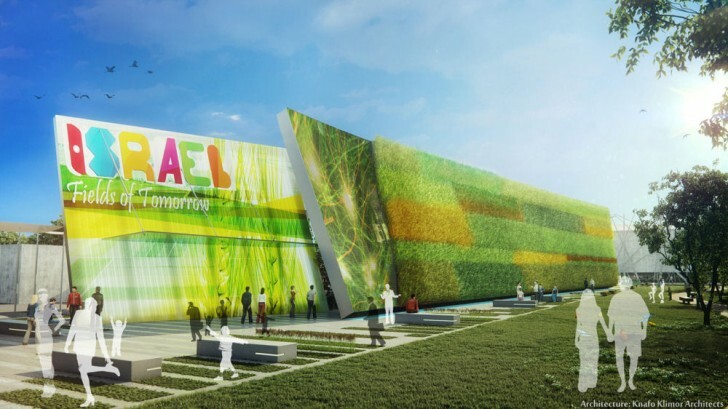 The living wall is purposely representative of the theme of the 2015 Expo, which is “Feeding the planet, energy for life.” The vertical wall, constructed using modular tiles fixed to an elevated steel frame, will be planted with various Israeli cereals and produce and will use a computer-controlled drip watering system for irrigation. The 2015 Milan Expo will take place between May 1st and October 31, 2015. The living wall is purposely representative of the theme of the 2015 Expo, which is "Feeding the planet, energy for life." The vertical wall, constructed using modular tiles fixed to an elevated steel frame, will be planted with various cereals and produce and will use a computer-controlled drip watering system for irrigation. While exploring the pavilion, visitors may take a virtual tour of Israel, during which they will be introduced to the various forms of innovation and technology that make the tiny nation's agricultural sector distinct. The Milan Expo 2015 will take place between May 1st and October 31, 2015. 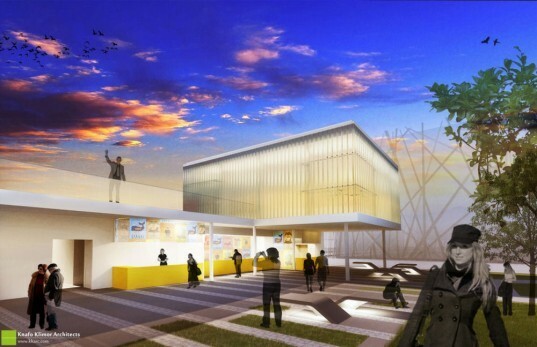 The Israeli pavilion will be open to visitors of all ages and interests.